If you need to get rid of your current car, selling it yourself is an option that may bring you the most money. But do you really want to go through the stress, hassle and risk of dealing with potential buyers? Trading in your vehicle may sound as an inferior option at first, but it is easy, safe and convenient. On top, dealers are very competitive these days and often will quote a very attractive trade in value comparable with what you can get at a private party sale. You’re ready to sell your car and get into something different, but you’re not sure how to proceed. There are two basic options: See what you can get as a trade-in towards your next vehicle at a dealership, or sell it yourself privately. Which route is better? Like so many things in life, it depends. Each one has its advantages and disadvantages. It’s quick, clean, and easy. You don’t have to pay the car off if you still owe money on it because the dealer will take care of that for you. And if you are “upside down” on it with negative equity (you owe more than it’s worth), trading it in may be your only realistic option for getting rid of the car. The biggest drawback to trading your car in is that often you’re going to get the least amount of money for it through this option. Have you ever gone to a site like Edmunds or Kelly Blue Book (KBB) and clicked through the screens to find out how much your car is worth? When you get to the final screen, you’ll see two prices – what you can expect to get for it as a trade-in at a dealership and what you can expect to get for it by selling it privately. Depending on the vehicle, the difference can be significant. Actually, Edmunds shows three prices. The third one they throw in is what a consumer can expect to pay for this car when buying it from a dealership, which will be the highest of three prices. Very often, however, trade in values for popular cars that are high in demand and easy to resell are quite high. Dealers will often ignore trade in values for clean cars that they can resell themselves as opposed to a wholesale auction and you a much higher value based on current market not a book value. The only real advantage of selling your car privately yourself is that it’s the way you can potentially get the most money for it. There are a lot of drawbacks to selling your car yourself. First off, it’s hard to do if you haven’t already paid it off. If there’s anything wrong with the car, potential buyers may require you to get those things fixed. You have to come up with an enticing description of your car, then you have to figure out where you’re going to post it online and/or run classified ads in local newspapers. Then you have to sit around and wait for the phone to ring or inquires to come in over email. You might be going back-and-forth with some folks several times before they even set up an appointment to come look at the car. Then they might not even show up. You’ve got to keep track of all these appointments so you don’t have multiple people showing up at the same time. You’re dealing with complete strangers. You have no idea if they’ll really be able to come up with the money in a reasonable timeframe if they make an offer you like. You may endure a series insultingly low offers. Meanwhile, you’re letting complete strangers test drive your car and hoping they don’t do anything stupid with it. All of this could drag on for weeks, maybe even months. The whole process can become quite stressful. Who’s got time for all of that? If more people really thought through the stress and hassle of selling their care privately, more people would probably shop around at a few dealerships to get the best trade-in value they can. It’s so much easier! 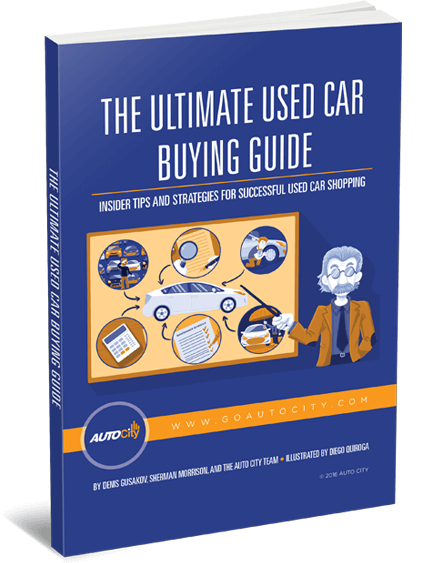 If you are thinking of selling or trading in your current car, give Auto City a try. We will be happy to quote you a strong and competitive value for your vehicle. On top, we will even buy your car if you do not buy one of ours. If you are not sure how to proceed and just want to know a value you may get for your car, we are a good place to start. Fill out a short form to get started or give us a call! There is also another alternative. It is called Driveo. Driveo is our partner company that will buy your car at a very competitive price. With Driveo you will get more money than at a dealer while avoiding the hassle of selling it yourself. Driveo appraisals are online based and are fast, free and secure. 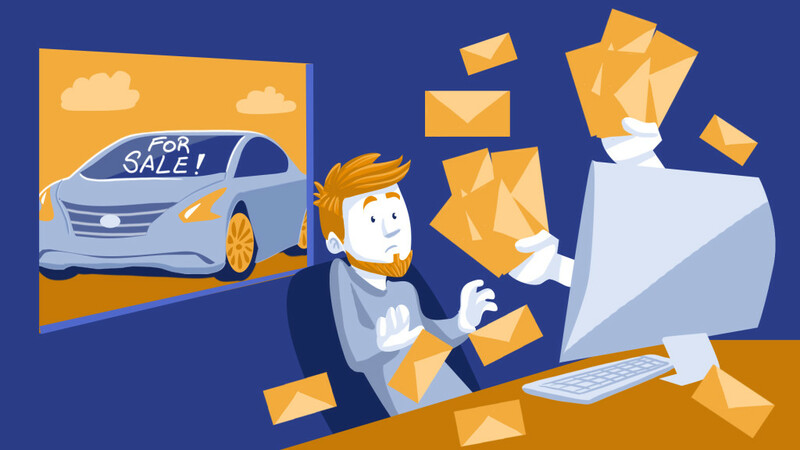 See how much you can sell your car right now! 0 comment(s) so far on Should You Trade in Your Car or Sell It Yourself?